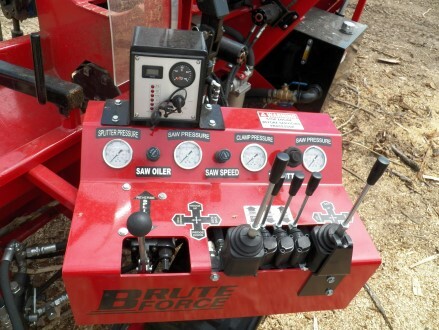 The Brute Force 18-24 HD Diesel is a big production firewood processor in a small package. 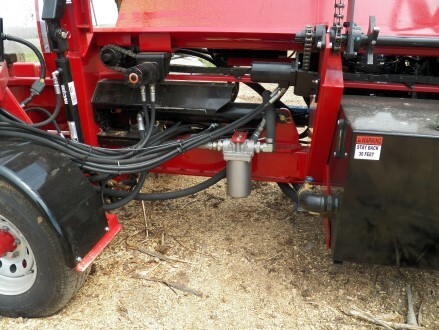 With it's 59 HP Kubota turbo diesel engine & 62 gpm hydraulic pump it's a great choice for the firewood producer who needs production day in and day out. 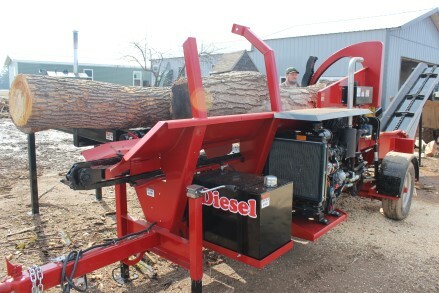 This machine is one of the fastest processors in it's class, producing from 2 to 4 cords per hour & cutting up to 20" diameter wood. 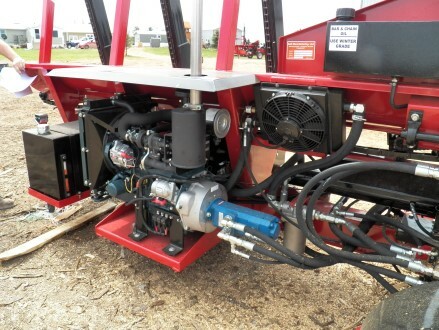 This processor comes standard with a 3 strand hydraulic live deck that is easily raised and lowered hydraulically with a lever on the operator control panel. 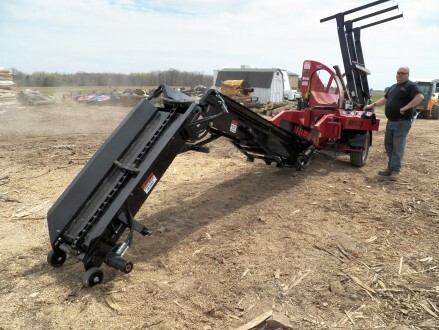 The integrated 14', hydraulic operated chain stacking conveyor swings 3' left & right and allows you to easily load firewood into a trailer or truck box, even with high sides. 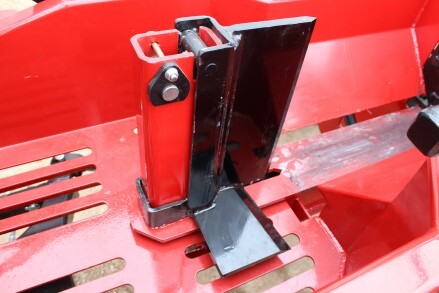 Joystick controls operate the hydraulic saw, clamp, live deck, and log infeed conveyor. 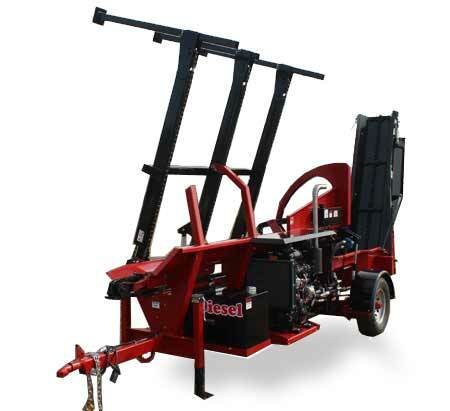 Comes standard with 4 way, hydraulically adjustable wedge which can be raised and lowered at the push of a lever. 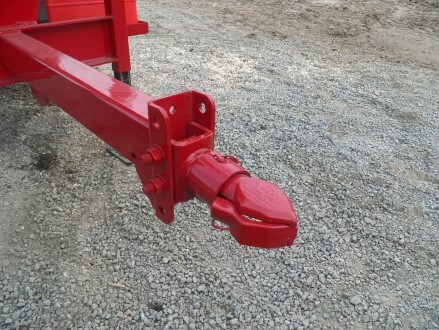 6-way and 8-way wedges are available. 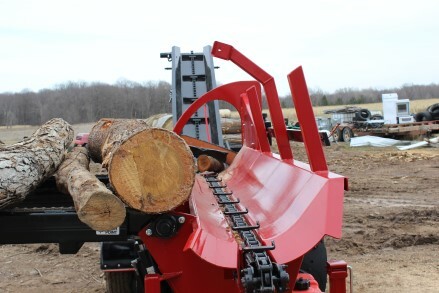 Other standard features include torsion suspension with electric brakes, last log support & measuring grid, integrated tail lights & round log trough for better handling of crooked logs. 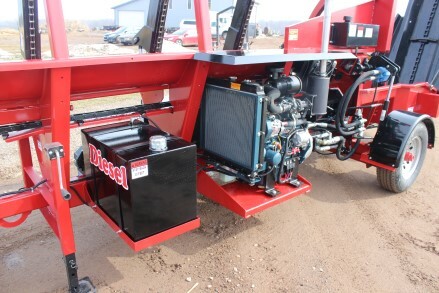 The 18-24 HD Diesel is an upgraded version of our most popular model the 18-24 HD, and is designed with the serious commercial firewood producer in mind. 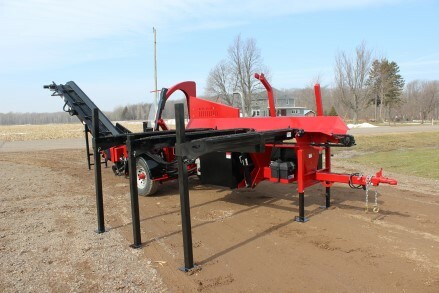 14' Chain Conveyor that SWIVELS 3' Side-to-Side - STANDARD!